An expert on customer service will be in Salina for a presentation. According to the Salina Area Chamber of Commerce, on April 10th or 11th customer service expert, Bill Drury will present a workshop entitled “A Passion for Service” (How to Win Customers and Reduce Lost Sales). 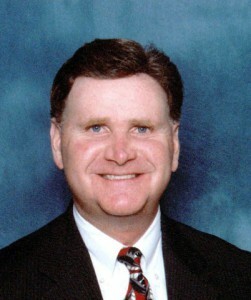 From 1985 till 1990, Drury was the National Training Consultant for the Zig Ziglar Corporation. He speaks, trains, and travels extensively, and has proven to be one of the most effective and entertaining speakers in the industry. We’ve heard fantastic feedback about this program! Subjects Bill will cover include: Who really signs your paycheck; Stay motivated; Make a great first impression; Create a vision for service; Communicate respect to every customer; Personalize your service; Listen; Handle the irate customer; Overcome stress and burnout; Handle the ten most difficult customers. Some Customer Service Facts: 7 out of 10 customers who stop doing business with a company do so because of the way they were treated on the first contact; 96% of unhappy customers never complain about discourtesy, but 91% of them will not buy again from a business that offended them; 97% of all companies never formally train employees in the simple art of customer retention.